While HTC has already launched a couple of devices to support the Windows 7 phone, Microsoft is likely to join forces with Nokia for exploring the Indian market, he added. Similar rumors have been flying for a while, but the most recent set seem unusually intense, and Nokia-Microsoft deal might make a lot of sense now. Nokia’s new CEO, Stephen Elop, is a former Microsoft exec who left the software giant on amicable terms. 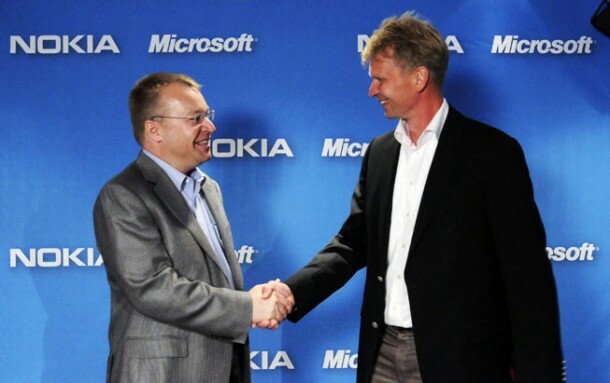 Nokia continues to produce class-leading hardware but has seen its smartphone OS efforts (Symbian and MeeGo) founder in light of strong competition from Apple iOS and Google Android. Microsoft, once a strong smartphone player with its Windows Mobile OS, has completely rebooted its phone OS with a new offering, Windows Phone 7, that offers an entirely new UI paradigm and smooth experience but has a lot of catching up to do in market share. While Google’s Gundotra was seemingly quick to dismiss the potential of such a deal, a combination of Nokia’s hardware prowess and global retail presence (especially in emerging markets) with Microsoft’s slick new OS could form a strong mobile competitor for Google and Apple. One potential downside of the deal is that Microsoft tightly controls the WP7 user experience, at most allowing phone makers to include some custom apps (vs. Android — and Windows Mobile before it — which allows for full UI customization). As a result, Nokia could be reduced to just another player in the smartphone spec race unless Microsoft cuts it a special deal. Also, Nokia’s emerging market presence is important because of its drive to “democratize” smartphones– WP7, however, has stringent hardware requirements that low-end handsets cannot meet today. Whatever the case, we expect tomorrow’s announcement to at least include a high-level management shakeup at Nokia, if not this possible revamp of the company’s strategy.